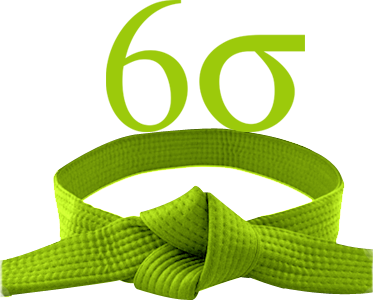 This Six Sigma Green Belt upgrade course is designed for people who have completed the PD Training Yellow Belt course or an equivalent course with another provider. The PD Training Yellow Belt Training provided you with the fundamental skills in the Define, Measure and Control steps of the DMAIC process. This upgrade to Six Sigma Green Belt course provides you with significant more in-depth knowledge in the Analyse and Improve phases, and empowers you with the ability to really drive improvements in your workplace. This highly significant and lively course is available now throughout New Zealand, including Auckland, Christchurch or Wellington. Please click on the Public Class tab below to view our Lean Six Sigma Green Belt Certification Training Upgrade from Yellow Belt course schedule by city or click In-House Training tab to receive a free quote for courses delivered at your preferred location.